This FAQ (list of Frequently Asked Questions) was started by ILPI in 1995 after readers of our most popular web page, Where to Find SDS's on the Internet, began asking us for help. By March of 2001, the FAQ had grown so long that we decided to subdivide the FAQ into several sections to make it more readable. 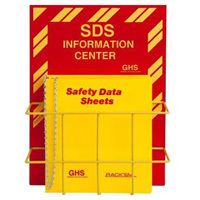 With OSHA's regulatory updates under the Globally Harmonized Standard (GHS) which took full force in 2016 in the US, Material Safety Data Sheets (MSDS) are now called Safety Data Sheets (SDS). You will see both terms throughout this FAQ as it references various OSHA interpretation letters issued with the older term. 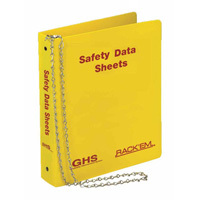 See What are Material Safety Data Sheets and Safety Data Sheets (MSDS and SDS)? for more information. Each section of this FAQ is a fairly broad category, so there is bound to be some overlap between the sections. If you still can't find an answer to your question after reading through the various sections, see the last question under Miscellaneous. What does an MSDS or SDS look like? What items or formats are required on an SDS? What do these terms or abbreviations on my SDS mean? Is there a unique identification code for each chemical? Does OSHA determine what information is required under health hazard information or can we use our own data? Do I need to make a new SDS if I mix several other chemicals together (each of which already has an SDS)? Do I have to write an SDS for new chemicals that I create in the laboratory? As a distributor, can we change the name and address on an SDS? Can the identity of a chemical be withheld on an SDS as a trade secret? Who can write an SDS? Where does one submit SDS's for official approval? Is there an XML standard for SDS's? If I have the same chemical from different manufacturers, do I need to keep all their SDS's? Can I throw away old or outdated SDS's? Are resources such as the Merck Index or Physician's Desk Reference (PDR) acceptable substitutes for SDS's? How come I don't always get SDS's when I order chemicals? I thought manufacturers were required to give me one for every chemical I purchase. Do I have to use hard copies or can I use a computer database for SDS's? What is the "ready access" requirement and what is a "barrier" to ready access? What's the best solution for me? How do you recommend I handle my SDS collection? Does the Where to Find SDS's on the Internet page meet the intent of OSHA for SDS availability in the workplace? Does distributing SDS's to my employees fulfill OSHA's hazard communication training requirement? Some of my employees don't speak English. Do I have to make any special provisions for these workers? How much does it cost us to maintain SDS's manually? Notice: This page is copyright 1998-2019 by ILPI and was last updated Wednesday, June 29, 2016. Unauthorized duplication or posting on other web sites is expressly prohibited. Disclaimer: The information contained herein is believed to be true and accurate, however ILPI makes no guarantees concerning the veracity of any statement. Use of any information on this page is at the reader's own risk. ILPI strongly encourages the reader to consult the appropriate local, state and federal agencies concerning the matters discussed herein.